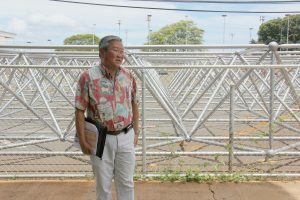 DOE official Duane Kashiwai describes “cooling tools” at Campbell High School. The Department of Education (DOE) is making good on the governor’s promise of cooler schools for this new school year. 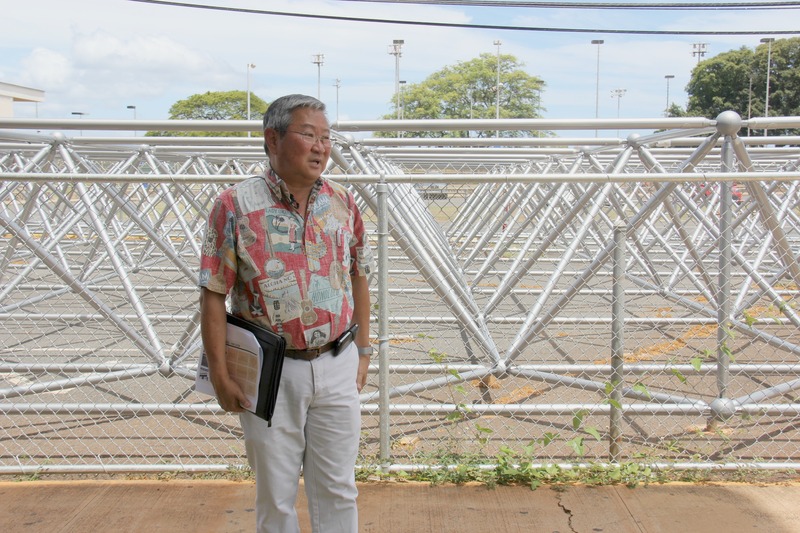 “We expect to have the 1,000 classrooms cooled by the end of August,” Governor Ige said. 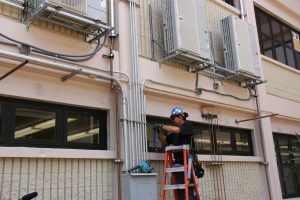 The $100 million appropriated by the 2016 state Legislature has funded equipment and installation costs for air conditioning and other heat abatement measures for some of the state’s hottest schools. The goal was to cool the classrooms but remain “energy neutral” to offset electrical costs and energy use. The result is an ingenious combination of cooling strategies that include solar-powered and high-efficiency AC, tinted windows, nighttime heat flushing and ceiling fans, covered walkways and awnings, heat reflective material and added trees on campuses. 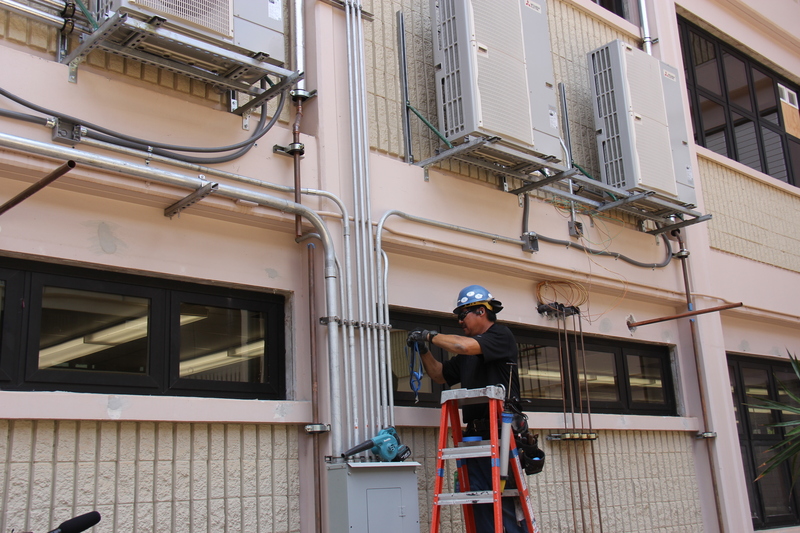 A worker at Campbell High School installs energy-efficient air conditioning.